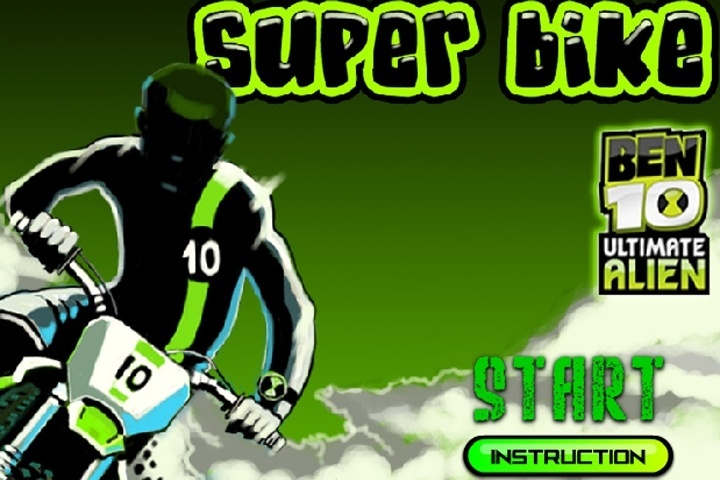 Drive as Ben 10 with your Super bike in great courses. Test your balancing skills. Keep balance, don't turn around and watch your head. The less you crash the more score you will receive. 10 crazy levels for for Ben. If you want to play Ben 10 Super Bike games online you have come to the right place! GamesLoon adds new Ben 10 Super Bike games every week. This is your game portal where you can find the biggest collection of free Ben 10 Super Bike games online. Do not forget to rate our Ben 10 Super Bike free online games while playing!